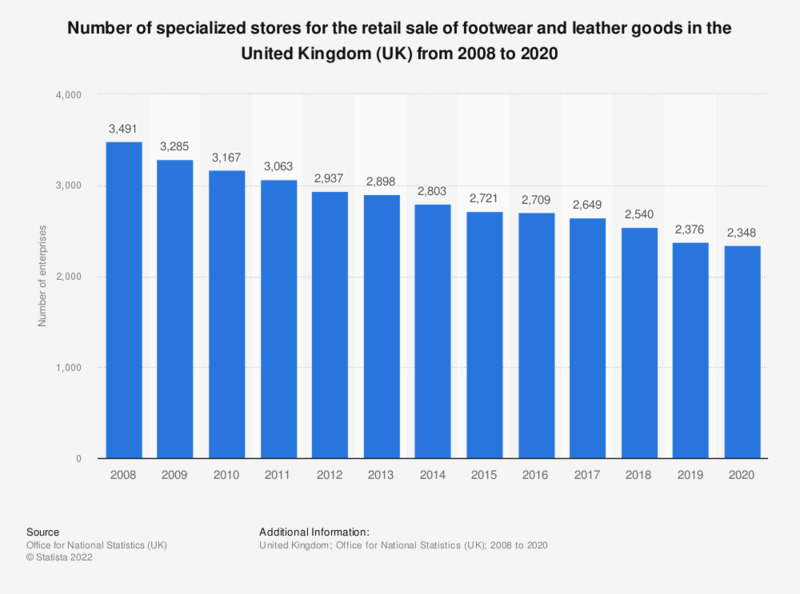 This statistic shows the number of retail enterprises selling footwear and leather goods in specialized stores in the United Kingdom (UK) from 2008 to 2016. In 2008, there were a total of 3,491 stores for the retail sale of footwear in the UK. Since then, there has been a gradual decrease in the number of enterprises, with 2016 showing a total of 2,709.